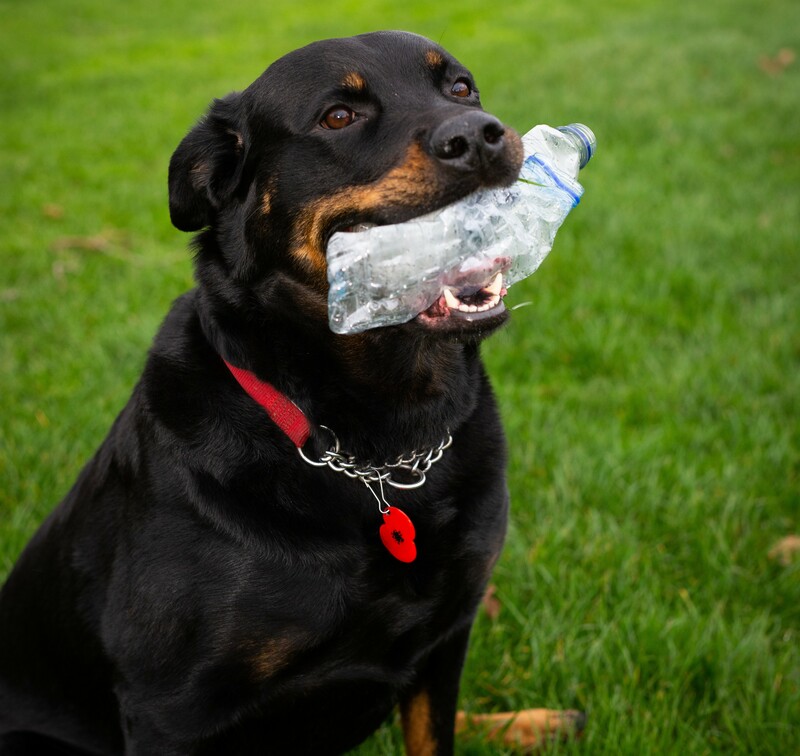 Maggie, a Rottweiler-Labrador cross, loves to race around Avery Hill Park in south London to collect the bottles during walks with her owner, who then takes them home to be recycled. Maggie has always shown an interest in finding things in the park like hats, gloves and, in particular, tennis balls, which she’d steal from other dogs. She then slowly moved on to picking up bottles. Her owner Susan Parr said: “We’d often find at weekends in the park, particularly after football matches, they’d be a lot of leftover bottles and she just started to collect them. Maggie has become a much-loved character around the park as she races around to find her plastic treasure. Ms Parr added: “She does love to do it. She really doesn’t need any encouragement at all. She’s just more than happy to pick them up and tidy up. The Parrs found Maggie in a rescue advert eight weeks after they lost their first Rottweiler. Avery Hill Park in Eltham is one of Greenwich Borough Council’s Green Flag award-winning sites, but it can be blighted by litter discarded by users. Friday marks the start of Keep Britain Tidy’s Great British Spring Clean, which runs until April 23. Ms Parr is encouraging everyone to do their bit for the environment, with Maggie’s hasthtag: #BeMoreLikeMaggie.